The experiences practiced in multisensory learning allow each family member to participate in ways that help them understand and retain best. Brothers and sisters learn together and help each other with projects such as making Native American accesories, playing a Native American spear game, having discussions about the story, historical information, as well as positive character traits such as bravery, selflessness, etc. Get the entire family involved while attending an authentic Pow Wow or going fishing. 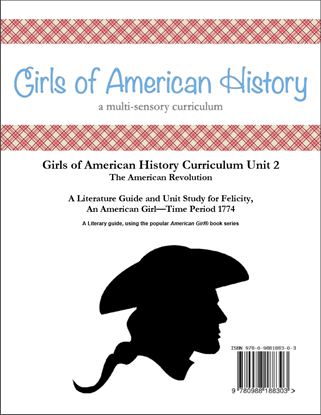 This six week unit study using the American Girl® Kaya® series books is also great for doing school with an additional family or two. Get together for weekly activities or field trips, while doing the rest of the study on your own with your family. Get together at the end of the unit for a backyard Pow Wow of your own! There are two options for the required readers for this unit. 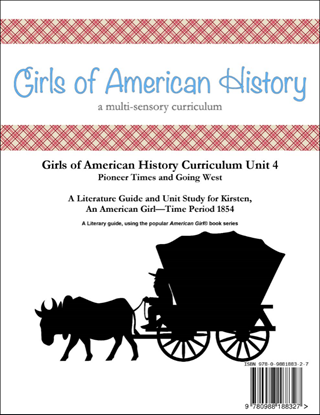 American Girl orignally printed the Kaya stories in a six book set. These stories have been reformatted into a three book set called "Beforever". Either book set will work for this curriculum. 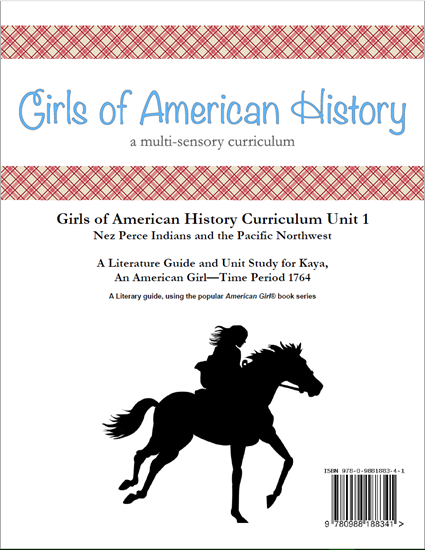 This series of books follows a young Nez Perce girl through trials and triumphs. She learns about herself, her family and what it means to be a friend. Strong male charcters include both relatives and friends that are present throughout the series. Although this particular unit pertains to a time in our history that is prior to the exploration of the Pacific Northwest and an establishment of a real organized government, the study of the Pacific Northwest and the Nez Perce Indians is still a rich part of the history of North America. This study could lead into later in history with a study of Chief Joseph and his meeting of Lewis and Clark, although this didn’t happen until later into the 1800s. It could also be used at a starting point to an American Indian unit through the 1800s, including the Trail of Tears and many other important events and battles. This unit was a favorite with my boys. Craft and field trip ideas from the time period are included in the unit to help enhance the study. Some examples of *crafts include; teepee craft, canoe craft, drawings and more. 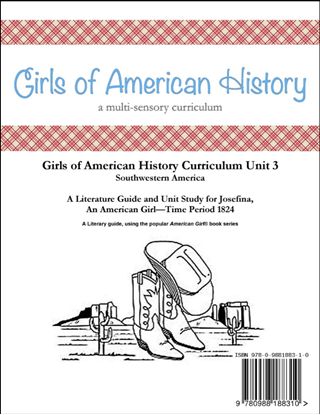 **Crafts are not included in the purchase of the curriculum, but resources and instruction as to what crafts to purchase are included. Some units do include free craft templates. Family license allows single family usage for the purchaser only. Copies are not permitted for use outside of the owner's immediate family. If you are a co-op or charter school purchasing for a single family - please make a note of the family's name and email address when ordering.